I thought about your idea in a micro sense. And you’re right. If someone came near Bubba, there’s no way they’d get past both Bella and Beary. I just fear for the safety of the dogs! It is true that the dogs would be the front line. That is said, but better than Bubba being the first hit. Once my sweet dog Nikki and I were in the garden. V was pulling long weeds in the grass when a warren of yellow jackets was awakened. Nikki got in front of me and took the bulk of the stings before they got to me. We were both fine (but hurt). Dogs are incredible. They are. Bella has saved me a couple of times in situations where, without her, would have been not nice at all. Thankfully Beary hasn’t had to! Dogdaz, this is a great idea and I don’t know why the government didn’t came up with it yet. Dogs are capable to smell harm from a distance, as you already said. My sweet dog, she’s in heaven now, warned me twice from strange guys, who were walking on the other side of the road, and probable have done me harm, when she didn’t growl and barked at them. She was usually everybody’s friend, so this was a very strange reaction. Maybe a dog in companion with a guard? I’ve seen this before in serveral parking places in Germany and Belgium. We would definitely need to figure out how the handler would work. But a guard and a handler, is a lot more powerful than just a human alone. Glad you sweet dog was there for you and that you listened to her. Thanks kitties. Maybe attack cats would work. I don’t know how military dogs work. I think there’d have to be a person with them – a trainer or handler or something. Either way, I’m afraid it would be too easy to hurt the dogs. Yes, the dogs would need a human handler to set them up and release them. 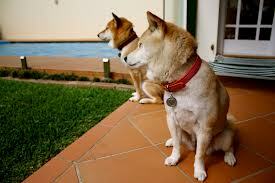 The idea would be that they would be trained to sniff out potential danger around the perimeter. They are not attack dogs, they are scent dogs. Their role would be to detain until the human would release the them. Yes, the potential for them getting hurt is there. But better to sacrifice one brave soul for 27, I think. That’s an amazing idea, however, out people up there don’t think the way we do. For the solution is sometimes worse than the problem itself. All that idea of arming teachers is plain crazy talk, police at school doors, more crazy talk, they want us to live under martial laws, we would feel like prisoners in our own country/house, just look at the airports, safe is not how I feel when I’m there, I feel observed and treated always like a suspect. It is a fine line and we in the United States have been very lucky to live in a place where the military presence is minimally observed by the people, even though it is there covertly. 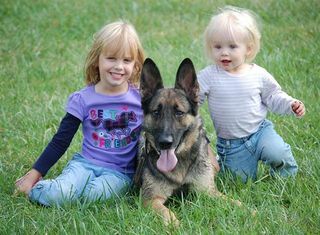 The idea of the dogs is not assist in keeping our children safe without the overt effect of an armed person at every door. That won’t keep them safe anyway, I don’t think. I would feel better about having trained dogs at the door rather than arming the teachers, which I consider one of the worst ideas they have come up with. Absolutely agree. I want teachers to focus and be specialists in learning, not how to shot someone. I LOVE, LOVE, LOVE THIS IDEA!! Either retired Military Working Dogs can be utilized or (once the funding can be organized) the right dogs can be adopted and trained to perform this task. I wonder where our police dogs live when not on the job? Maybe our future school guard dogs can live and be taken care of the same way our police dogs are. Hey Dog Daz Zoo, Jet here. What an interesting concept… we here at Casa Jet shall ponder this idea… two thoughts that immediately enter Mom’s legal mind… 1. What about liability if the K9s made an error. 2. What about allergy issues? Please do ponder, that is why I put it out there. I agree with your 2 concerns: (1) Liability is always an issue and just like in any situation where there are dogs being used on the premises, signs would need to be posted, etc. If they smell guns or drugs they will detain until released, but they are not there to harm (unless the other is harmed). Not even sure you can teach a sniffing dog to do harm. Seems against the programming. (2) I thought about allergies (since I am allergic to a lot and my daughter was actually allergic to dogs when she was little). 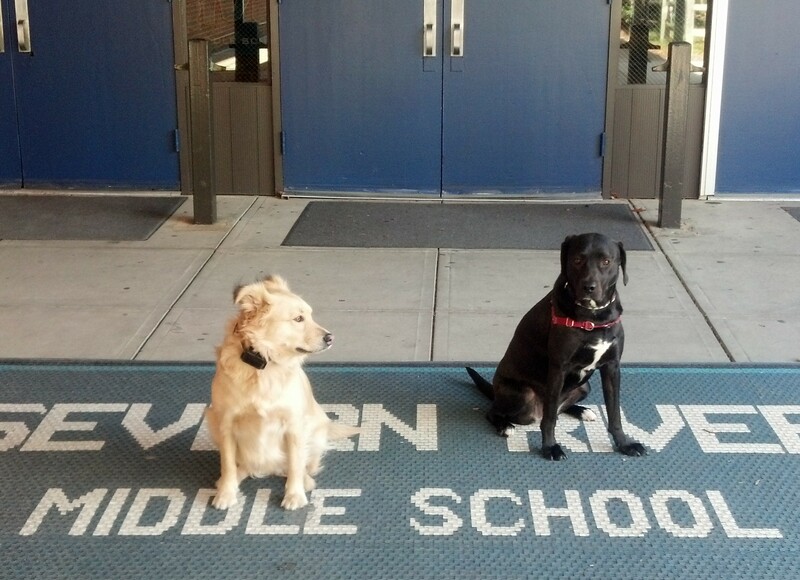 My thought on this is that they are outside the school (where millions of dogs are walked every day). Usually it is direct contact that triggers the problem and these dogs are not there to be pet or even touched unless instructed. Hummm,,,, please think on it. Thanks Jet. Maybe it is just to difficult to pull off, but I liked the idea. Amazing. I found this blog after some teacher colleagues and I brainstormed safety measures. I could write a dissertation here about what we are doing to ensure the safety of our dearest assets, the children we are privledged to teach, but we all know that it is not enough. That said, the thought of using dogs as a first alarm would be huge. Our current lock-down procedures depend on a cognizant adult knowing of the danger and announcing the alarm on the PA system. There is only one PA microphone in most schools. Dogs, on the other hand, could sound the alarm nearest to the source of trouble, passing the signal on to other K9s further afield. We could then lock down more quickly with the added benefit of detaining the intruder. As a teacher, I’d happily attend dog handling classes at my own expense in order to facilitate implementation. I will NEVER work in a school that arms educators. Thank you so much for writing, your support of the idea, and for being a teacher.